I spent Thanksgiving night at my wife’s aunt’s house in Lakewood, NJ. I wondered how I would feel the next day after a night of engorging on a hearty Thanksgiving meal. I didn’t actually overeat, but by the nights end I was stumbling to bed with a stunning migraine. It was a real brain buster, which saw me rolling around and moaning in a strange bed. The only consolation was that the house was relatively quiet, dark and cool. I popped 4 Excedrin and finally settled down around 2am. Around 7am I rolled out of bed feeling less than rested, but better than I had the night before. I fed my children some breakfast, while my wife was already out with her Aunt prowling the outlet malls with my hard earned dollars for an early start on holiday shopping. I watched TV with them until 9am when my wife’s cousin woke up and agreed to watch them while I went out for a run. 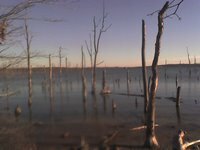 I decided to go to the Manasquan Reservoir nearby. 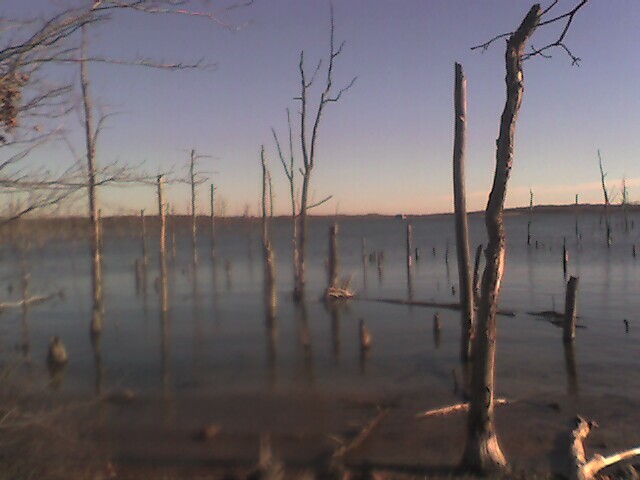 It is a 5 mile loop on a dirt packed trail. The temperature was approximately 30 degrees with an occasional gust of wind. 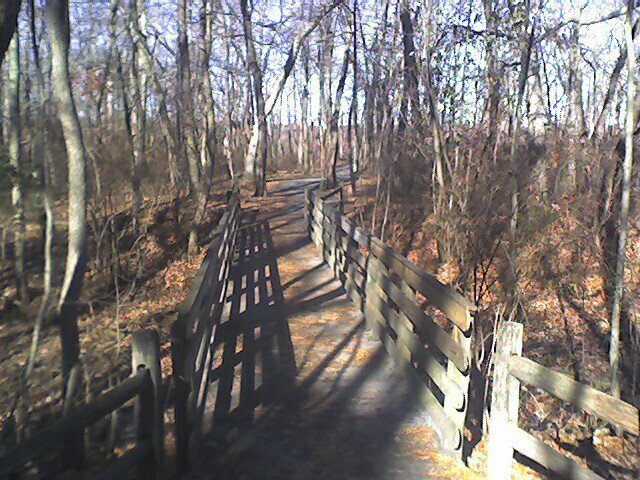 The air smelled clean and crisp and the trail based running was a welcome change of pace from the Prospect Park loop. 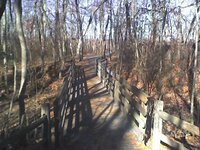 Several times along the way, I took the opportunity to document my run with the camera on my Treo 650 smartphone. I was enjoying the run and the surroundings and I felt the urge to stop and smell the roses. After I completed the 5 mile loop, I started out for a side trail that I passed earlier. I went along it just enough to make my distance for the day six miles. It was too bad I wasn’t doing my long run today as I was running very well and didn’t feel like having it end. that is a great story. actually the pictures make the story ... so pretty. why did you not nominate it for the Rundown?? ?